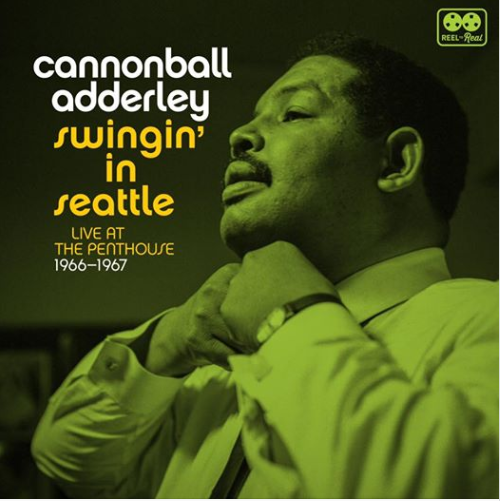 If you weren’t able to grab Cannonball Adderley’s Swingin’ in Seattle: Live at the Penthouse (1966-1967) on double vinyl last month—when it was released in a limited edition for Record Store Day Black Friday—fear not. Reel to Real Recordings, the newly formed archival jazz label launched by Resonance Records’ Zev Feldman and saxophonist Cory Weeds, has announced that the new collection, which captures the performances of Adderley and his sextet over four nights at the Penthouse jazz club in Seattle, Wash., will be made available as a deluxe CD and digital download starting Jan. 18. 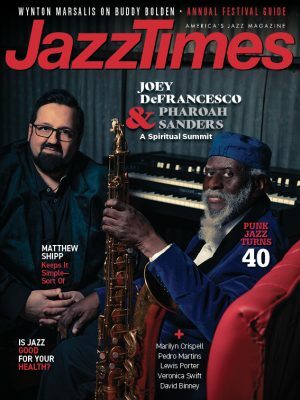 Like the LP, the CD version of the album will include a 28-page booklet with rare and previously unissued photographs, an essay by Bill Kopp, interviews with drummer Roy McCurdy and Cannonball’s widow Olga Adderley Chandler, and more. Of course the music is the same on both packages, played by Adderley, McCurdy, cornetist Nat Adderley, keyboardist Joe Zawinul, and bassist Victor Gaskin. Swingin’ in Seattle, along with Etta Jones’ A Soulful Sunday: Live at the Left Bank, are Reel to Real’s first two releases. To find out more about Swingin’ in Seattle, watch the video below, which includes interviews with Feldman and Weeds, McCurdy, Adderley Chandler, saxophonist Vincent Herring, and Jim Wilke, who made the original 1966 and 1967 Adderley Sextet live recordings for Seattle’s KING-FM. Read a review of the Cannonball Adderley Quintet live album Paris, 1960.